Again with the easy, often repeated outfit formulas. I decided to wear my flared jeans with some of my striped tops. Unlike my previous post, where I wore striped shirts to the office, these outfits are a lot more casual. I got these flared jeans hemmed so I can wear them with flat shoes, and ever since they've been worn a lot more. While I am petite I don't think the combination of flares and flats makes me look any shorter, and it is definitely comfortable! Especially when worn with my Converse, like below. It was a little chilly in the morning and we were heading out to the beach for lunch and a walk, so I added the scarf for a little extra warmth, and some colour. I like the print mixing too, it grew on me through the day. Last time I wore this top I was going to work, and worried it was too casual. It was perfect for a morning by the sea though, nice and comfy. 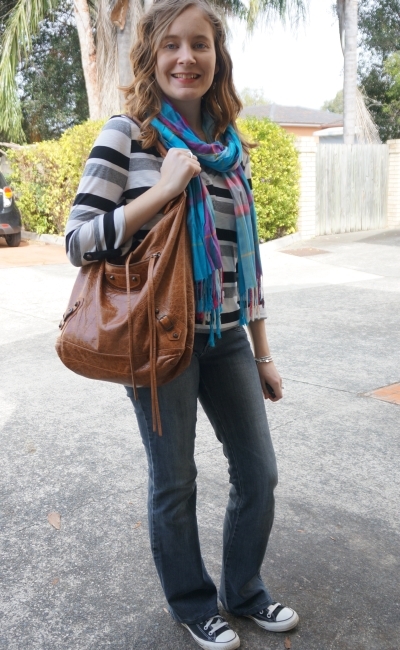 Last worn: tartan scarf, striped henley, flared jeans, Converse, Balenciaga Day bag. Other ways to wear: tartan scarf and cobalt leather jacket, striped henley and gold jeans, flared jeans and heels, Converse and a maxi skirt, Balenciaga Day bag in the office. 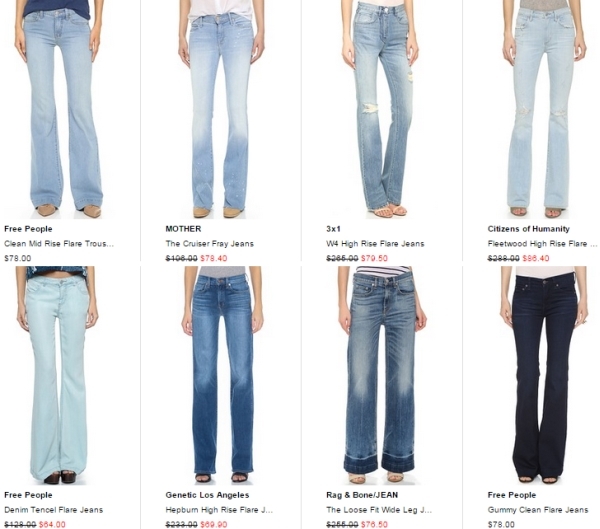 Shop flared jeans at Shopbop, starting from $26.40! See more flared jeans on Shopbop here. If you prefer skinny jeans, they have that covered too - they have skinny jeans in multiple colours! And even boyfriend jeans. I liked the striped tee and flares combination above, so I wore it again the next day. Gave me an excuse to wear this tee again, it hasn't really been worn very much since I bought it (only 4 times in the past year and a half). I've been noticing how many tops I have and how rarely I wear them, I tend to stick to the same few favourites frequently. Trying to break the habit and pick things I've not worn recently, or not worn for a very long time. No point in having all these clothes if I rarely wear them! Plus, as we are currently house hunting, the less clothes I have, the less packing I have to do when we finally find the perfect place....I'm trying to make sure everything I have in my wardrobe is a keeper. 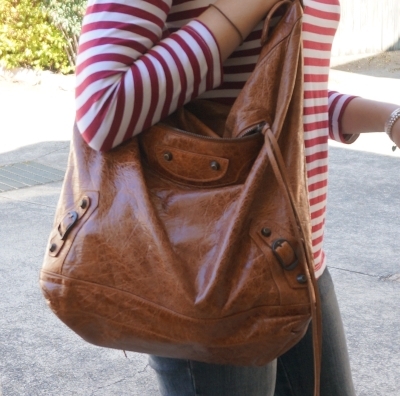 Last worn: Ray-Ban Wayfarers, striped tee, flared jeans (above), Converse, Balenciaga day bag (above). Other ways to wear: striped tee and skinny jeans, flared jeans and ballet flats, Converse and a shift dress, Balenciaga day bag and a chambray dress. Linking up with Whatcha Wearing Wednesday, Style Me Wednesday, Oh Hey Girl, What I Wore, Throwback Thursday, Thursday Fashion Files, Fun Fashion Friday, Weekend Link Up, Friday's Fashions, Friday Favourites. flarred jeans and converse! all time classics! Definitely! I used to wear them all the time when I was younger! You always look so cute in stripes. I like the red striped tee. I hear you on that "less to pack" comment! Isn't it amazing how much stuff we accumulate? Moving is such a great time to get rid of the excess. The jeans look great on you! yes, it's crazy how quickly we fill our houses with "stuff"! I'm still finding it hard to get rid of a lot of it though, it will be a constant process I think! I've actually been afraid of wearing flares with flats but I think they look great on you; super cute! I've also recently realized how little tops I have; I often stick to dresses, haha. Happy Hump Day, Mica! You so make me want to repurchase a pair of converse for old times sake. I wore them for years and years in high school. You make them look so cute. I love that you mix work with casual on the blog. It's really refreshing to see some casual wear when it seems like all fashion bloggers post is trendy looks that most people couldn't pull off. House hunting is going slowly, but we are seeing some pretty houses which is nice. Flares and stripes - great combo! I like the grey with your red. haha yes, that's the problem! I buy things I like and it crowds out the things I love....I need to rethink my wardrobe! Such cute casual looks. I just bought a red striped tee similar to yours this past week! Love this casual and cozy look. I totally agree with you and Jessica – moving time is the perfect time to purge! Definitely! It's a good excuse to get rid of things! That Balenciaga bag is everything! It's on my wish list for fall. I really like your second top! I'm not a huge stripes person, but I'm finding that varied stripes are my jam. :) Also, I totally relate to the "why do I have all these clothes if I only wear the same few things?!" struggle. I want to cut back but that never seems to happen! cutting back is so hard! As we only buy things we like, so when we look at it we can't possible get rid of it, as we like it still...I'm trying to slow down my purchasing a bit to stop adding to the problem, as it's so hard to get rid of things, haha! I think flare jeans look really cool on you, too bad they don't look good on me either.. I like the red striped sweater too! I love these relaxed looks, so casual and perfect for every day! I like the flared jeans with the converse - a fun, casual look! I'm also all about making sure my closet is filled with quality over quantity and that the stuff I have is stuff I can and do get a lot of wear out of. Yes, that's what I want, quality over quantity! Too many times I buy things because they are 'nice' and I couldn't find anything I loved...just results in an overflowing wardrobe! very cute looks! I love your scarf! I'm diggin' your stripes + converse casual look! I'm in Love with this chic and simple outfit. You look great and so does your pet :)! Loving the bag! Looks like something you can bring anywhere! It is! it goes with everything, I've been using it so much! FLARES! Oh, I just love flares so much. I'm happy that they're back in style because now EVERY store has them and I don't have to search too hard for them anymore lol. Also I love that you wore them with Converse. Have you seen the new converse?! I'm such a sucker for striped tops! I like these casual looks. Flared jeans look great with your Converse! I do love a good stripe, so I can definitely imagine being very happy in either of these outfits. Also, I love a good flare-and-converse combo. 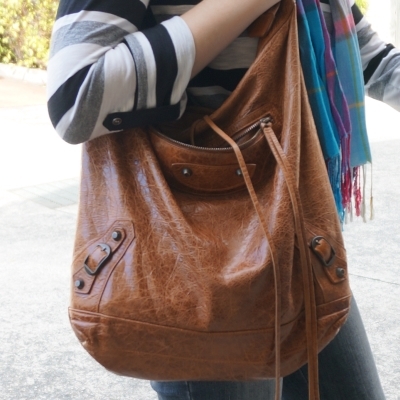 Comfy and practical! And as if you can visit beaches in the winter! If I did that here I'd get frostbite. Sigh. These are such cute casual looks--I love Converse! I think that's my biggest issue with flare jeans--if they're long enough with heels then they're too long with flats. I'm still on the hunt for a pair though! I'm loving it with those striped tops Mica! Looks so good! Ah yes I did that all the time when I was younger, I always had those little "tails" of hems trailing behind me, haha. The things we did! Hemming these was a much better option. Love the flares! I mean, I wear skinny jeans a lot, but sometimes it's really nice to have a little variety in jean styles--I have a dark wash pair of flares that I love. Love that stripy Atmos&Here top! Every time I see something of theirs on the Iconic that I like, it's sold out of my size. BOOOOO. Perfect match with the Cons and that excellent bag investment! All the good stuff sells out so quickly, I hear you! I have my eye on a gorgeous dress and I'm waiting for a sale..but it's also getting low in stock in my size...the struggles! Yeah my wardrobe has been a little maxi skirt heavy with the knee injury! Those flare jeans look great on you! Love the stripes, especially the first look with the plaid scarf! You look great in these, I love the red striped jumper. To be honest, I don't really have many flared denim styles at all. I am looking to get maybe one pair soon. Have a great weekend. These are an old pair I held onto for too long without wearing, haha! I just bought a pair of flared jeans and can't wait to wear them (it's still really hot here). I love flares...and they look awesome worn with converse sneakers. I did a similar look with black flared...anyhow, both outfits are perfect. You look gorgeous!!!! Love all the fun stripes! I love flared jeans although I must confess I gave them all away ! Although just a few months ago I found one that had been destined for the giveaway bag but I never gave them away… but now they're too tight.